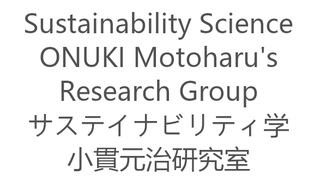 I left Transdisciplinary Initiative for Global Sustainability (TIGS), Integrated Research System for Sustainability Science (IR3S), The University of Tokyo and arrived at Graduate Program in Sustainability Science (GPSS), Division of Environmental Studies, Graduate School of Frontier Sciences, The University of Tokyo. GPSS is an educational program for sustainability science, which I was involved in establishing. In GPSS, I will also work for establishing Asian Program for Incubation for Environmental Leaders (APIEL) for improving GPSS curricula.